THIS STUNNING tree house retreat could be ideal for a quirky getaway but comes at a cost of £212 a night. 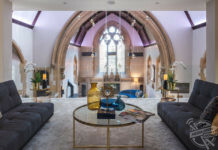 Incredible images show the sleek interior of the two-storey wooden tree house as a silver spiral staircase connects the two floors while tree trunks run through the middle of the property. Other striking shots show the exterior of the retreat as it perches among the treetops but is easily accessible by a series of staircases leading up from the forest floor. 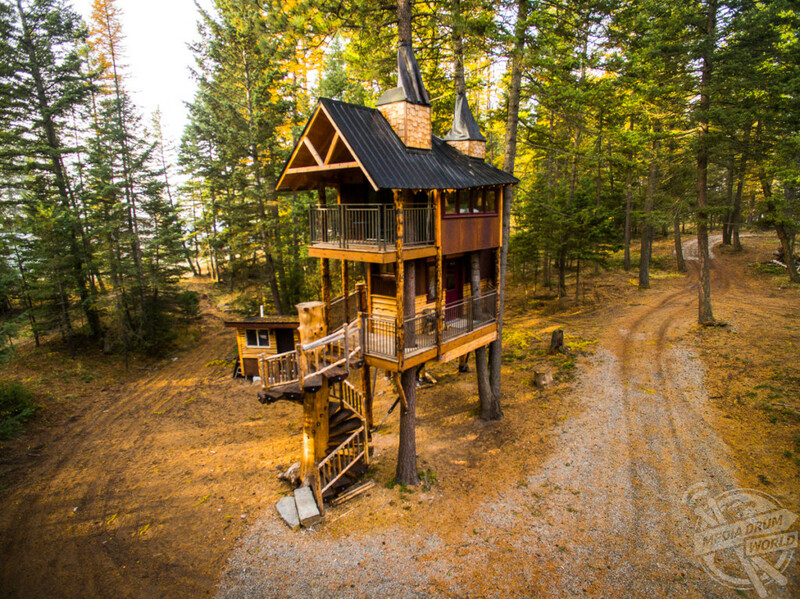 The Montana Treehouse Retreat is located at the gateway to the Glacier National Park, USA and sits nestled on a private seven-acre woodland plot. 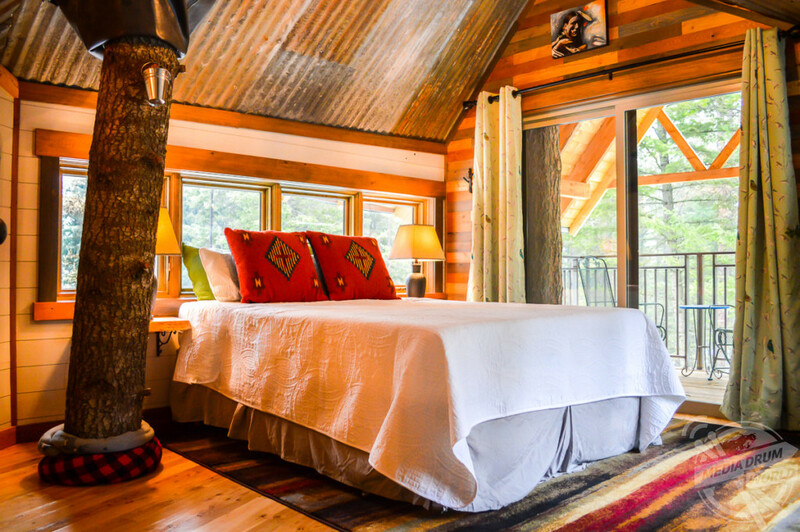 “The treehouse can sleep five comfortably but is also wonderful for couples and romantic getaways,” said owner Kati O’Toole. “The setting is perfect for a quiet writer’s retreat, honey moon or romantic getaway with your own private wooded acreage, or an unforgettable family trip to Montana. 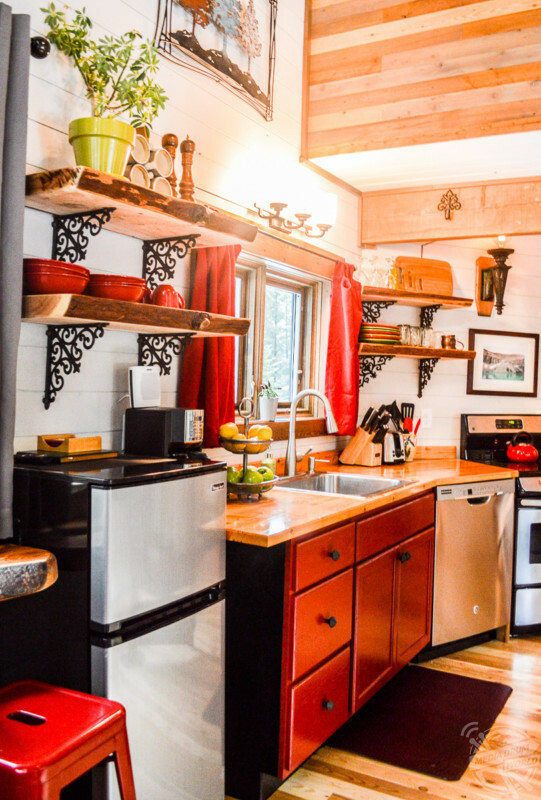 “There is no “roughing it” in this treehouse. The first floor has a full bathroom with a full-sized shower and sink. Two living trees grow through the treehouse interior and two living trees are through the treehouse decks. 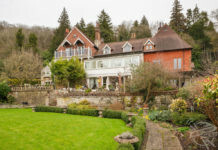 Guests looking to book this spectacular getaway will face charges of £212 ($300) per night with a three-night minimum stay required. 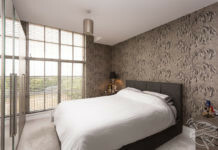 Weekly rentals will receive 21 per cent off their final price. 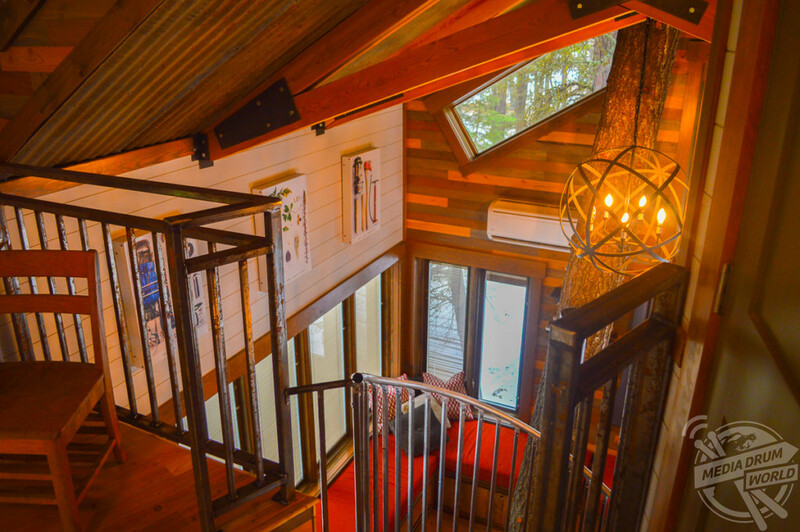 The treehouse grand entrance is a spiral staircase custom crafted around a giant Douglas fir tree. 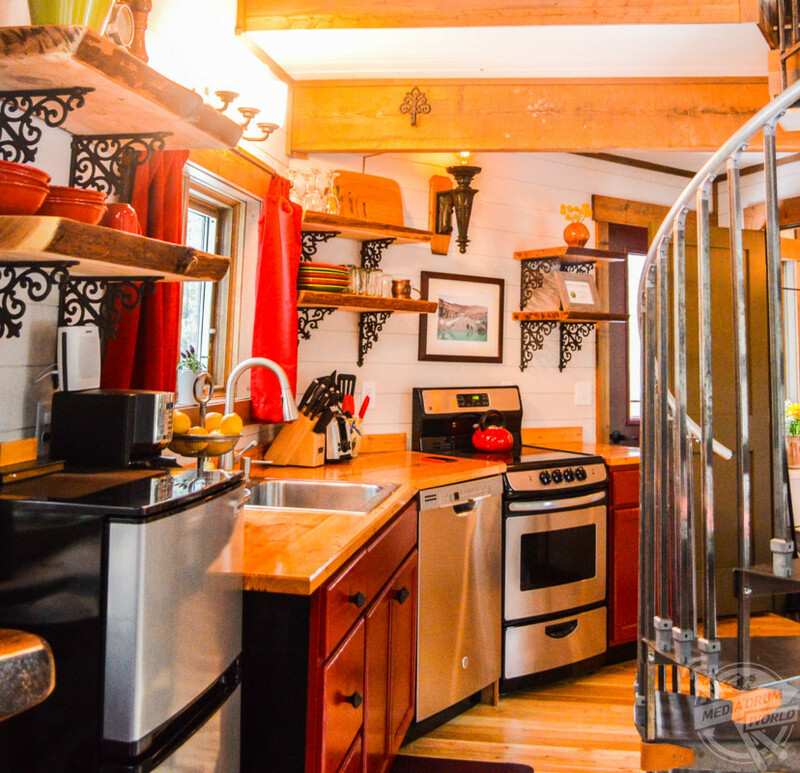 This treehouse has 500 square-feet of living space with two outside deck areas, the common room has a second spiral staircase, full kitchen, dishwasher, stove and three lush padded benches to entertain which also double as sleeping quarters. “The treehouse is a great place for an unforgettable whimsical family vacation for your kids. We love kids,” added Kati. 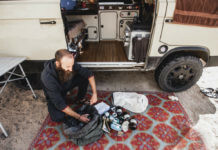 “We strive to provide our guests a unique and unforgettable luxury stay high up in the trees as a “home base” while you explore the Flathead Valley, Whitefish Mountain Resort, Glacier Park and surrounding areas. “Montana has so much to offer. 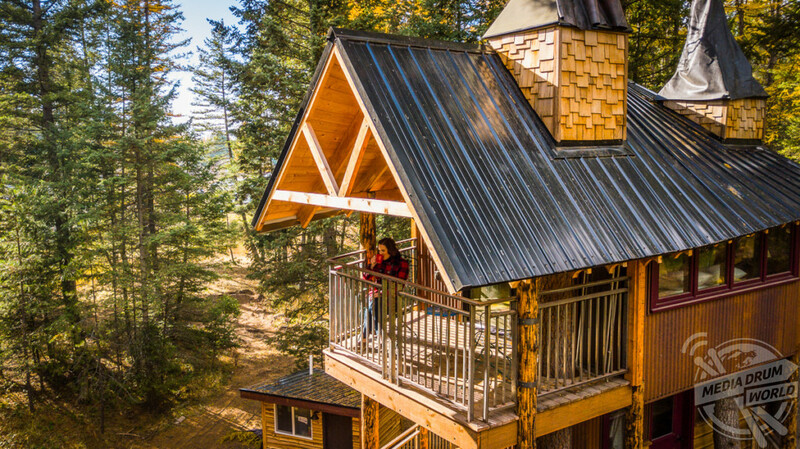 We hope the Montana Treehouse Retreat is the perfect place for you to reconnect with the ones you love, nature, and find some piece of mind.